Some of the most beautiful designs we’ve seen over the years include stunning renovations of decommissioned industrial buildings. The most successful among these manage to keep the patina and grungy feel of the buildings’ former functions while infusing them with up-to-date design trends. The practice of repurposing silos, whose verticality offers architects a chance to create unique, otherworldly spaces, breathes new life into these aging behemoths and gives designers the opportunity to be playful. Hit the jump to see six of our favorite repurposed silos around the world. 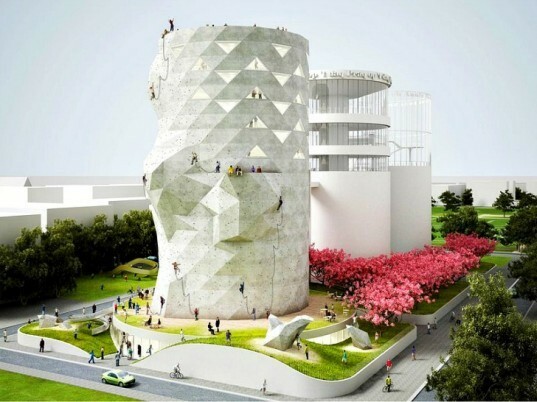 The two dilapidating silos of the former Guangdong Float Glass Factory in Shekou industrial district in Shenzhen were converted into a venue for the Bi-City Biennale of Urbanism and Architecture in 2013. The 90 foot high complex was transformed into an exhibition space with beautiful spiraling ramps and glass floors, and was used as a venue for the event. In charge of the renovation project was O-Office Architecture-Chinese practice, experienced in repurposing industrial buildings all across the country. In fact, their own studio is located in one of these buildings-an old beer factory in Guangzhou built in the 1960s. 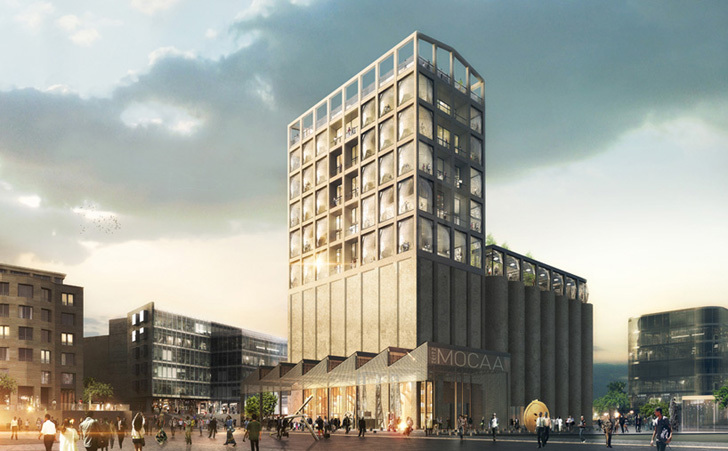 At this year’s Design Indaba conference, London-based architecture firm Thomas Heatherwick released images of their V&A Waterfront Museum in Cape Town. 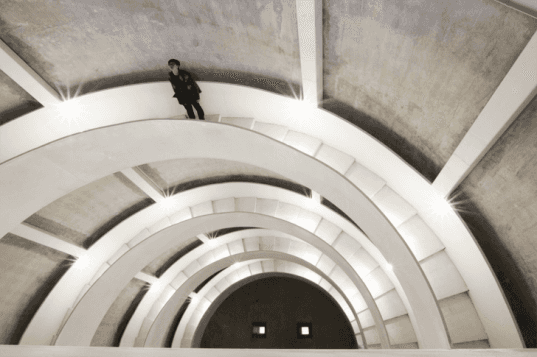 It is a cluster of 42 huge grain silos converted into a massive luxury development comprised of 80 galleries, art conservation facilities, a rooftop sculpture garden, bookshops, cafes and other amenities. 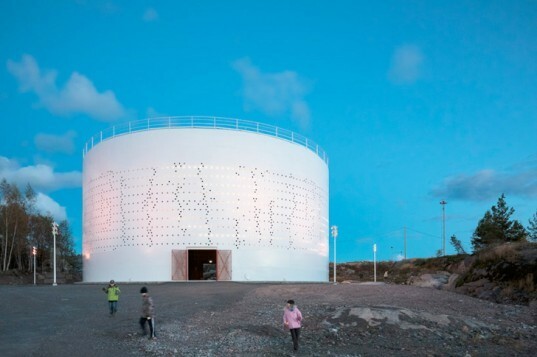 Another project in Helsinki, Finland designed by Madrid-based Lighting Design Collective involved punching exactly 1280 holes into a steel façade of a silo and then filling them with LED lights. The resulting building looks like a modern, freshly built lighthouse. Designed to honor the city’s selection as the 2012 World Design Capital, the project is a permanent wind-controlled light art installation that creates a new public space on the water in the Kruunuvuorenranta District. The building is open to the public right before sunset and for a short period afterwards. Its lights remain on until 2:05 in the morning, creating a mesmerizing effect as the prevailing winds trigger unique light patterns. NL Architects transformed an abandoned silo outside of Amsterdam into a world class climbing and mountaineering facility. 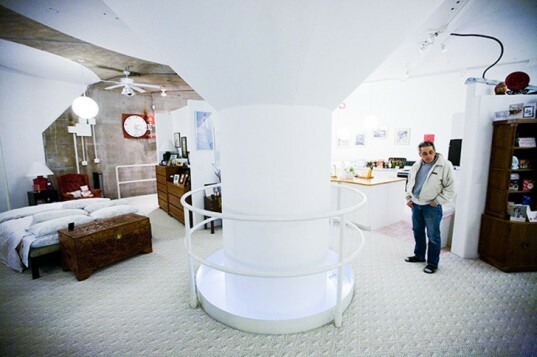 The proposal was initially rejected by the developer, but after the architects performed a feasibility study for an adaptive reuse of the third silo, Silo O was granted another chance. The original smooth volume of the facilities was transformed into a triangulated and faceted structure with climbing routes added to their sunny southern sides. The interior is converted into a vertical gym, with a space for a bar, a library, an information center, a travel center, a store and several meeting rooms. There aren’t too many places to go ice climbing in the corn fields of Iowa, so avid climbers in the area have to get a little bit creative. 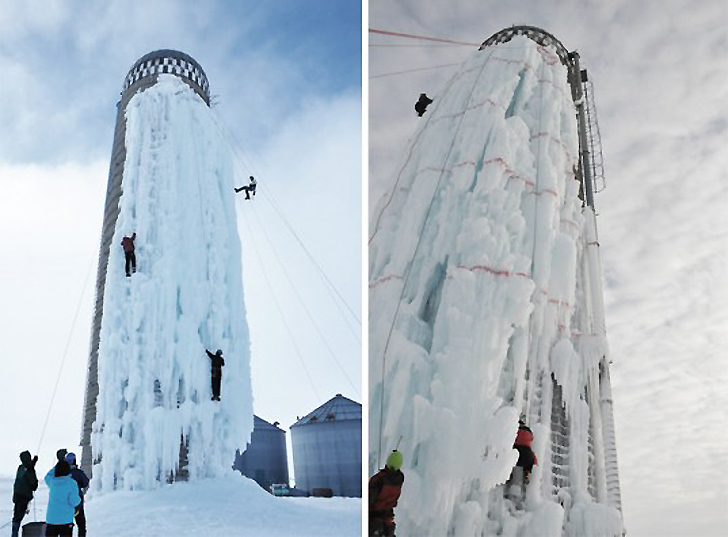 Don Briggs took a staple of the landscape — a grain silo — and converted it into an ice climbing wall. The eight-story structure is covered with ice curtains that run along a large wall and opens every winter, provided that the temperatures are consistently below 26 degrees. The silo, which is located just outside Cedar Falls, Iowa, has become a climbing mecca in the middle of the Great Plains. One of the most surprising examples is located in upstate New York, where an old storage facility built for storing Atlas-F missiles during the Cold War was transformed into a luxury living space. Scattered all over the U.S., these underground spaces were built for $18 million, while today, a renovated underground silo in upstate New York can be bought for $3 million. Included in the price is a log cabin and an airstrip. Can it get more luxurious than that?